Panacea for Lightweights is the most recent release from Leaaves. 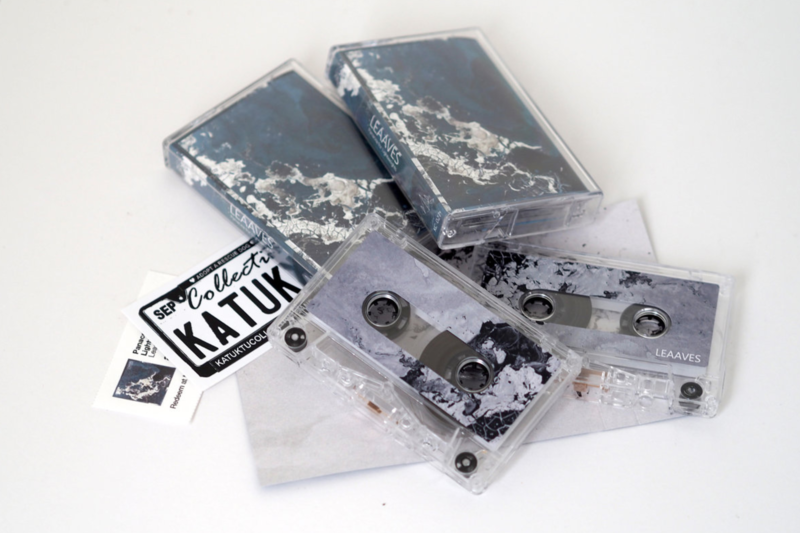 Released way back in January of this year, the album was released on tape by Katuku Collective. Music aside, this is one of the best-looking tapes I have bought all year. Pascal Janssen did an incredible job with the art. Music not aside? This is one of the best tapes I have bought all year. My original exposure to Nate’s music was through his other project, Lord Bendtner (which is also a project worth checking out). However, my interest in Leaaves started late last year as I began digging into more contemporary ambient music. Leaaves has had no problem creating a nice discography to dig through. As I’ve been working my way through the discography, Panacea for Lightweights remains one of my favorite Leaaves releases. Many of the songs on this release are exactly the mood they are meant to be if the track titles are meant to be believed. Tracks like “Lakeside” sound like a happy memory of a 35mm home video shot off a boardwalk. “Slumber” takes the enormous sounds of previous tracks and moves it into a cathedral-like space where the mood shifts. Things are a little darker, but not in a threatening sense; and “Utopia by Moonlight” is, I believe, the closest I have felt to ascension. While these moods and feelings are noteworthy, every track on Panacea creates these soundscapes built on spacious drones. These drones will occasionally meet with brushes of sound to create beautiful textures. This is all done with a loving purpose and as a result, Nate has created pieces that seem to be structured around the space the listener occupies. This creates an idea that, as opposed to trying to invade the space of the listener, Panacea exists parallel to the listener. It exists with no urgency and simply continues alongside you. Nearly five months later and this release in both audio and visual presentation still enveloe me and have me finding new rewards for return visits. You can stream Panacea for Lightweights or buy a tape (and find the rest of Leaaves’ discography) on the Leaaves Bandcamp page.